Two surgeons have been suspended from practising for 12 months for removing the wrong kidney from a patient who later died. Consultant urologist John Gethin Roberts and registrar Mahesh Goel were both found guilty of serious professional misconduct by the General Medical Council. 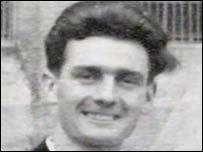 Graham Reeves, 69, died five weeks after the operation at Prince Philip Hospital in Llanelli. He had been awaiting surgery to remove a diseased right kidney, but his left one was removed when the surgeons looked at an x-ray back-to-front. Mr Roberts oversaw the surgery which Dr Goel - who was not present for the hearing - carried out. Mr Roberts, 61, of Pastoral Way, Sketty, declined to comment following the decision. Mr Goel, 41, did not attend the 10-day hearing, remaining in India for family reasons. GMC committee chair Dr Chitra Bharucha said Dr Goel had made an incorrect entry in the urology department diary which incorrectly indicated that the operation was to the left kidney. The committee had also heard that Dr Goel conducted a ward round on the morning of the operation but did not speak to the patient as he was asleep. Dr Bharucha said: "He was the senior medical practitioner on the ward round and therefore he had the responsibility to ensure that the operation specified on the typed operating list was the correct operation to be carried out. "Moreover, he should have had a reasonable expectation that he might be called upon to operate on this patient." She said the committee found that his failures on the ward round were unprofessional, incompetent and detrimental to the health and welfare of his patient. The GMC determination in relation to Mr Roberts noted he "should have known" Mr Reeves was due to have the right kidney removed as he had seen the patient a month before the operation in January 2000. It added: "You failed to notice the patient's operation was incorrectly entered in the diary as a left nephrectomy." Carmarthenshire NHS Trust said in a statement: "As a result of this case, important lessons have been learnt which have relevance for the whole NHS. "These lessons were applied immediately and with continuing effect. In addition, they have been shared throughout the NHS community in Wales. "The medical and nursing staff have worked hard over the past four years to build confidence within the hospital and the community. "This has resulted in a very positive report from the Commission for Health Improvement following their recent inspection." The GMC panel had heard the error occurred after Mr Roberts read Mr Reeves's x-rays the wrong way round and concluded his left kidney rather than his right should be removed. Mr Roberts said usually both surgeons would have studied the x-rays together but on this occasion did not. He realised something had gone wrong when Mr Reeves failed to produce any urine two hours after surgery. He tried to rescue the organ so that it could be put back but it had already been put in a sterilizing agent and it was too late. The GMC was told by Mr Roberts that the mistake would stay with him for ever. He said: "It is something regrettable, something I will carry with me as a burden for the rest of my days." 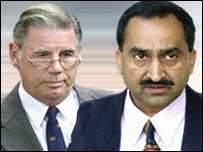 Mr Roberts and Dr Goel were cleared of Graham Reeves' manslaughter at Cardiff Crown Court in June 2002. The prosecution's case collapsed after an expert pathologist told the court he could not be sure Mr Reeves died as a result of the mistake. "It was supposed to be a routine operation"